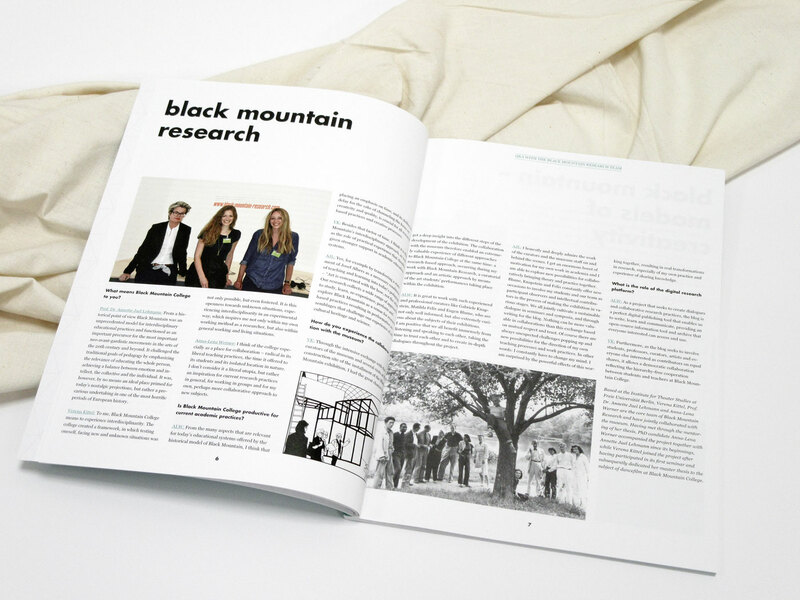 We are very happy to announce the release of Black Mountain Research, published by Kerber Verlag, Bielefeld. The practice-based research project Black Mountain Research by Freie Universität Berlin and Hamburger Bahnhof – Museum für Gegenwart – Berlin was run along the museum exhibition “Black Mountain. An Interdisciplinary Experiment 1933-1957” over a period of three years. Within the collaborative project we jointly organized university seminars, conferences and workshops by often using performative strategies of researching, teaching and learning. Archiving and expanding our research and documenting our project activities, our participatory online blog, black-mountain-research.com, served as an experimental platform. Reaching out to everyone to read or participate, we invited students, curators, various artists, scholars and everyone interested to contribute to the blog and thus partake in the sharing and production of knowledge. As unfinished work-in-progress, comprising ideas, questions, inventions and opinions, we consider the blog the product of our three-year performative research. Closing our project with a return from online back into offline, we transformed the essence of Black Mountain Research into an analogue and limited printed edition. On 64 pages designed by anschlaege.de, the same-named publication offers a selection of the blog’s articles and other contributions in English and German. Black Mountain Research is now available for purchase in bookstores, as well as online at https://www.kerberverlag.com/de/black-mountain-research.html.